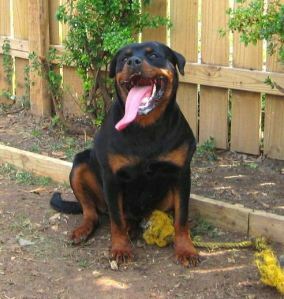 Rottweiler Characteristics Of Nixe Von Der Blockhutte: Nixe is first and foremost a beautifully well put together, large framed, athletic, and intelligent female with a super disposition. She has beautiful, crisp markings, and exemplary confirmation. Nixe’s frame lends to her powerful and harmonious movement, and outstanding speed and agility. Her drive is high to extremely high, but she manages all of that energy well, and has perfect manners when not at work or play. Nixe is a perfect combination of show confirmation and beautiful looks from her father Henry, and extremely intelligent working ethic from her world famous mother Ambra. She has an incredible head, with a noble expression, and a great stop. 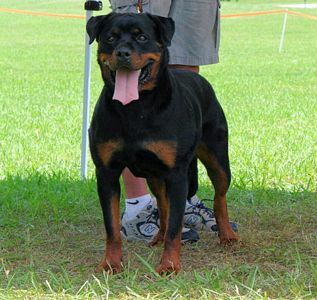 Nixes coat is short, soft, and correct, and her eyes and mouth are jet black. 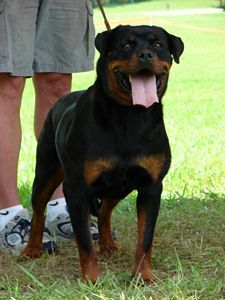 Thanks to generation after generation of the highest level of breeding available in Germany, she passes all of these traits on consistently to her puppies. Nixe Von Der Blockhutte Pedigree Analysis: Nixe is everything that we look for in a foundation female. 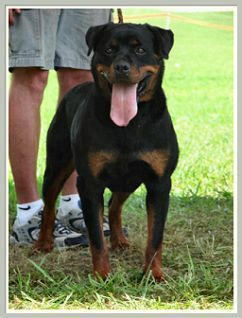 She has no Rick Von Burgthann which is almost impossible to find today, and a true asset to a proper breeding program. 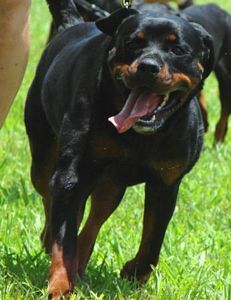 She does have Benno Von Der Schwarzen Heide, Ricks grandfather, with no line breed, five generations back on her dams side of the pedigree, which we view to be a good touch for future litters’ confirmation. 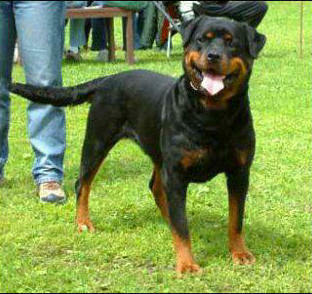 Her pedigree contains several line breedings way off in the distant past, which is exactly where we like them to be. Also as an added treat for our breeding program, most of her distant line breedings are off of siblings from the same litter instead of the same individual dog. It has been our experience that this is the ultimate in line breeding for maximizing the good characteristics without sacrificing any physical soundness or intellect. 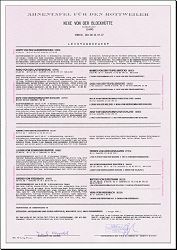 There are several examples of this type of line within Nixe’s pedigree. 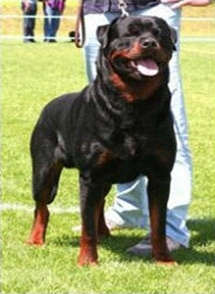 For instance, there is a line breeding five, six, seven, and nine generations back on Chris/Irk/Iris Vom Obergrombacher Schloss via Hassan and Hulda Vom Konigsgarten. 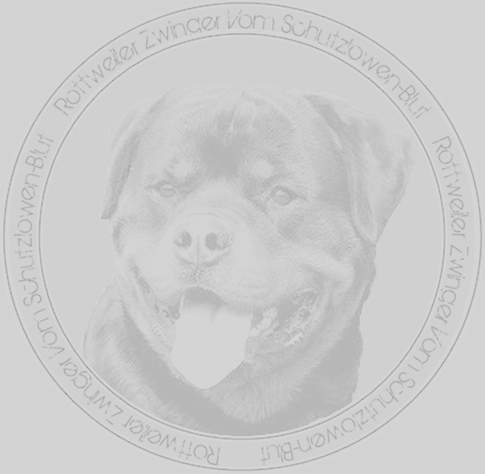 The most important manifestation of this particular line is the three and four generation back linebreed on a single dog, Matcho Von Burgthann, which just so happens to be one of our our favorite producers in recent history. 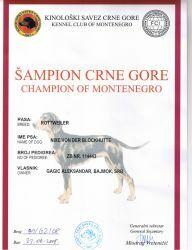 Nixe also has a line breeding six, seven, and eight generations back on Dingo/Danjo Vom Swaiger Wappen via Ives Eulenspeigel. 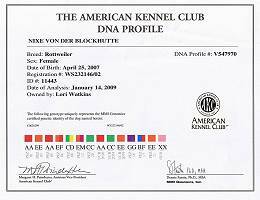 Another of the line breedings that Nixe’s lineage contains is Norris Vom Gruntenblick from four and six generations back. 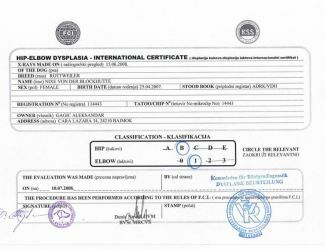 One of the closer up of the line breeding’s in Nixe’s pedigree is on littermates Orso and Onda Vom Kressbach in the fourth generation back. 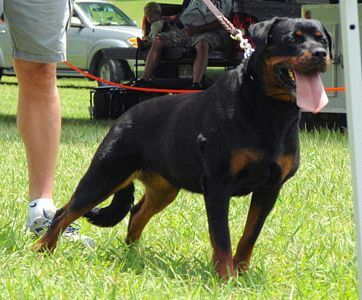 It doesn’t hurt at all that these distant sibling line breeding’s mentioned above are on several of the most famous and best producing dogs in the history of the breed, both on the field and in the ring. CH Nixe Von Der Blockhutte X CH Quaid Vom Hause Enzian puppies showing off their extreme drive at just 8 weeks old!! When we say that we breed for work, we mean it! !